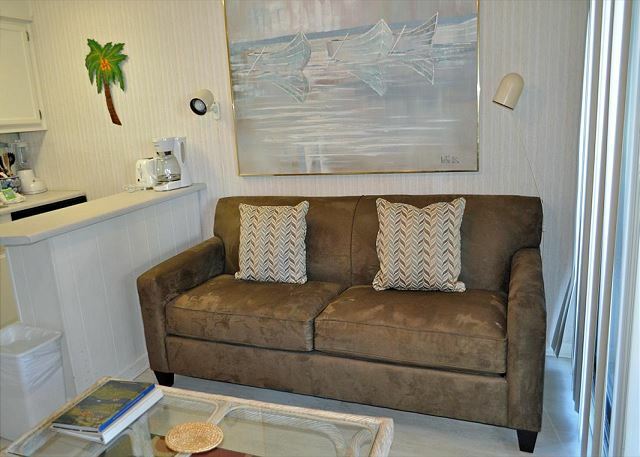 A lovely new sleeper sofa has been added to this unit. 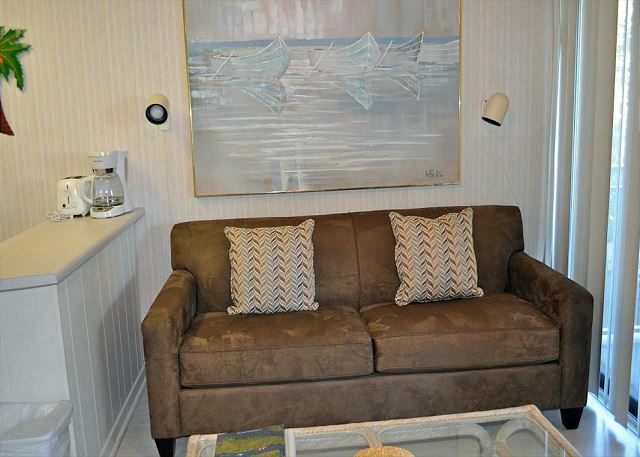 New sofa in the living room of this unit opens to a queen sized bed. Living and Dining area are combined w/a balcony. 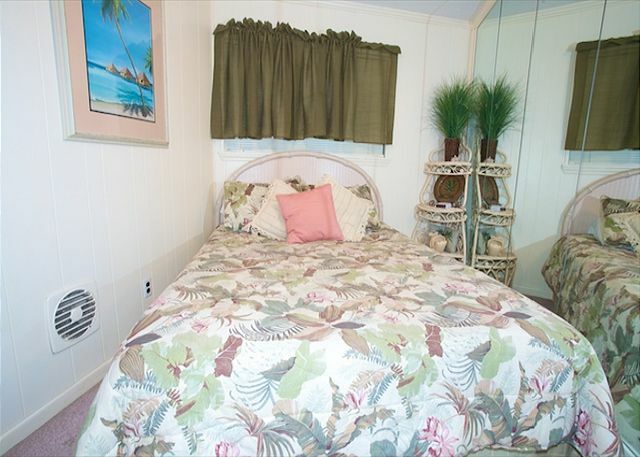 Nicely furnished bedroom with queen size bed. 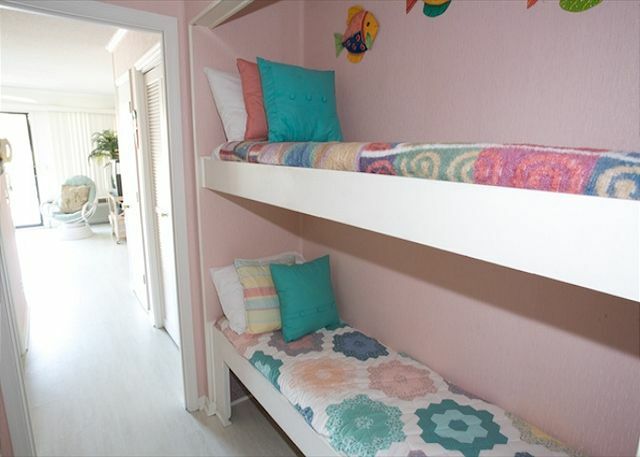 Two bunk beds located in the hallway are ideal for small children. 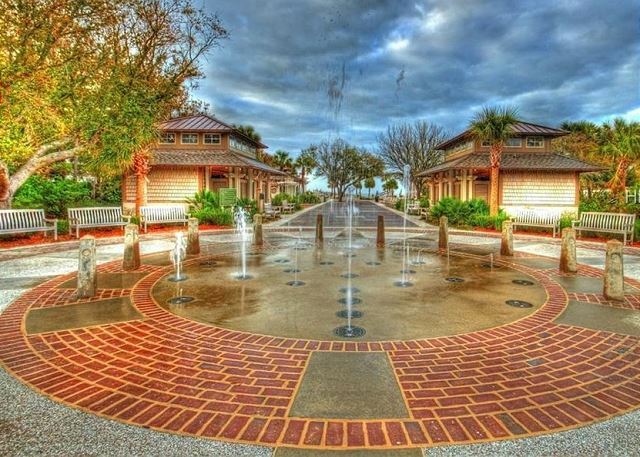 The Coligny Beach fountain is fun for any family! Indoor heated lap pool with access to aqua classes and hot tub available. This villa offers a separate bedroom with a queen size bed and 22 inch flat screen TV, fully equipped kitchen, living and dining area are combined. Additional bedding for this villa includes a queen size sofa sleeper in the living room and also two bunk beds in the hallway between the bedroom and living room which are ideal for small children. 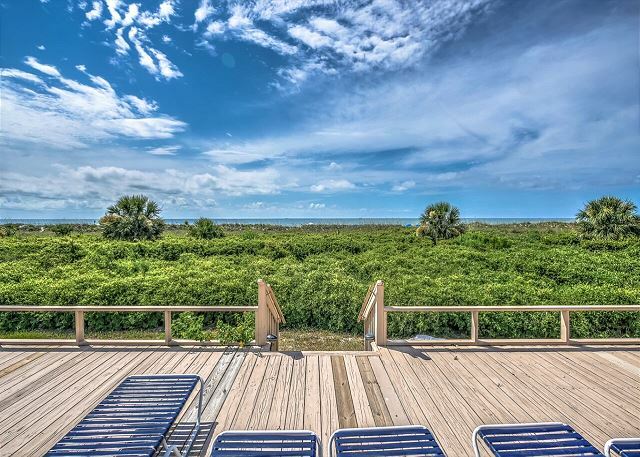 There is a balcony located off the living room which offers a nice oceanside view. 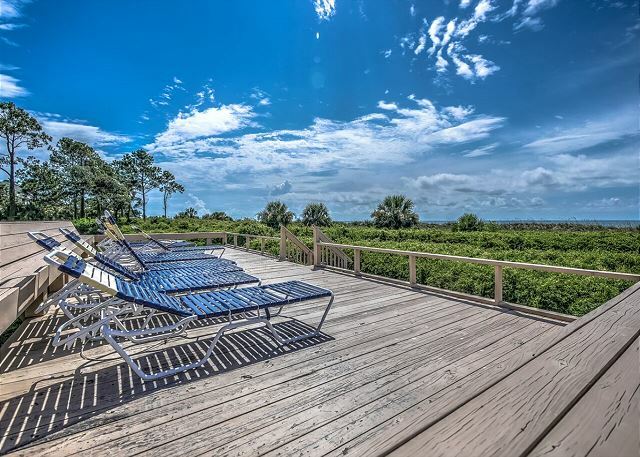 You’ll find Seaside Villa is located on the south end of the island, along South Forest Beach Drive, a short distance from Coligny Plaza. 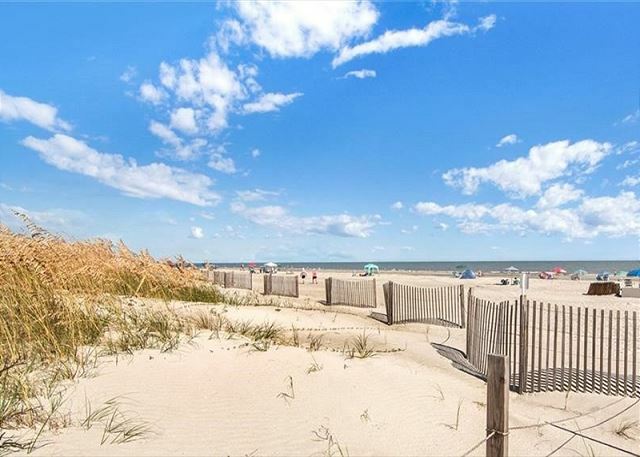 Seaside is an oceanfront property that is situated about 70 yards from the ocean. 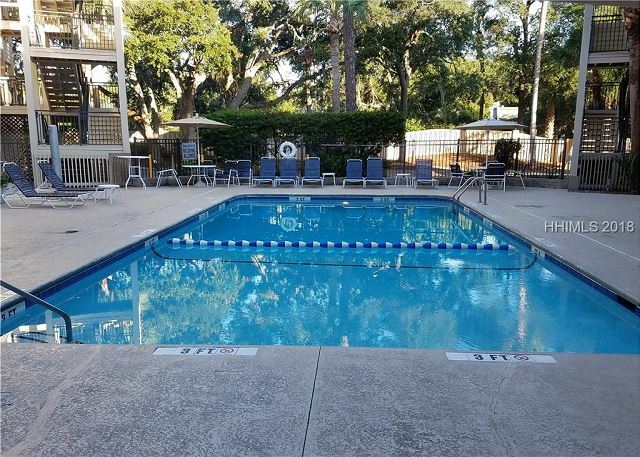 The amenities would include an on-site pool and complimentary access to the Player's Club for use of their indoor heated pool as well as their fitness center. It was excellent, the staff was outstanding and helped me with all my questions and issues. 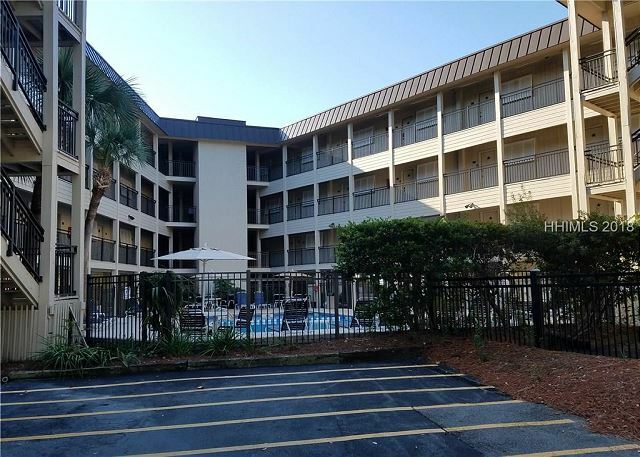 The place was as described and we enjoyed the location and the unit. This condo I'd exactly as its described, nothing more and nothing less and that's ok. The condo is cozy but we didn't spend much time in it. The bunks are small and really are for smaller children only. Plenty of sheets, pillows and towels. We would stay again. 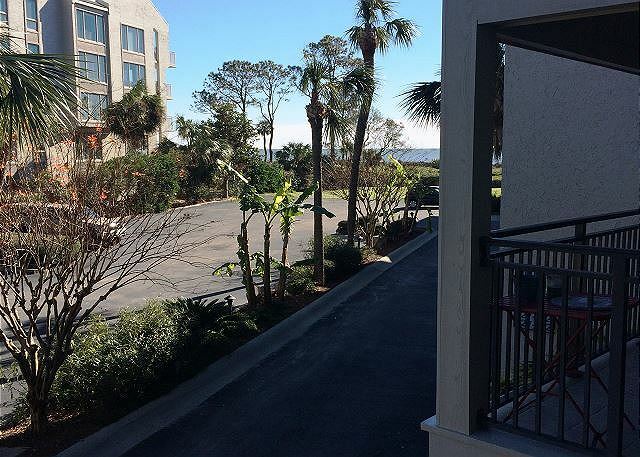 My fiance and I thoroughly enjoyed our stay at the Seaside Villas. The room was very clean, and the bed and couch are comfortable. The appliances are a little dated but work well. The property management employees were very kind and helpful. 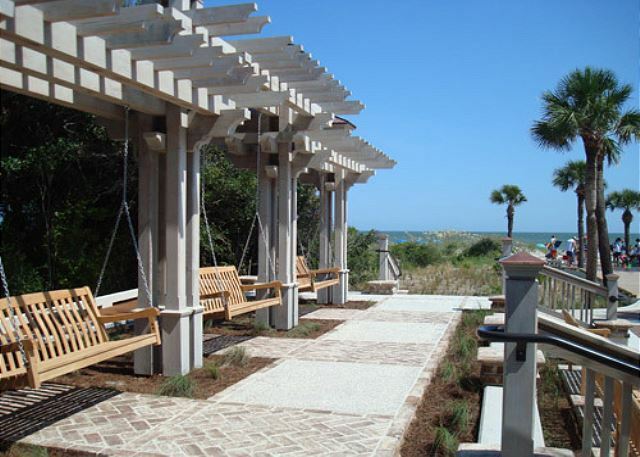 Overall our stay was terrific and I would highly recommend staying at the Seaside Villas. The place was smaller than we expected but the location and experience was great. 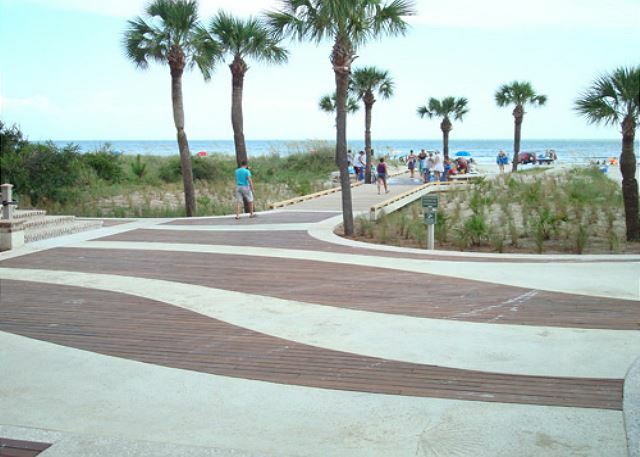 We walked to dinner, to shopping, to the grocery and the beach was just a few steps away. It's older but cute & clean. Perfect for what we needed. Nice, clean n cosy - bang for your buck. 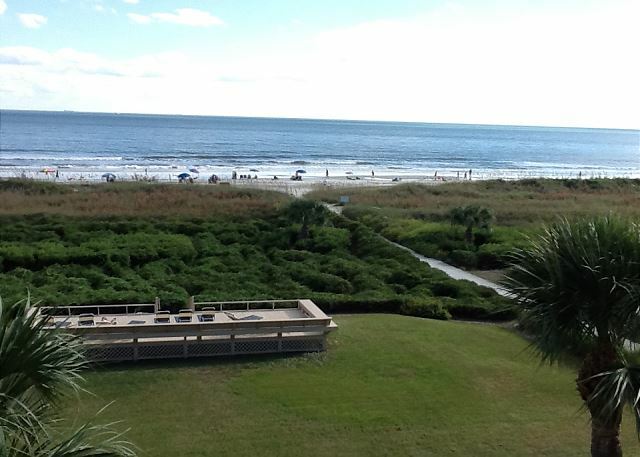 First time in Hilton Head. Condo was cosy, clean and well furnished. 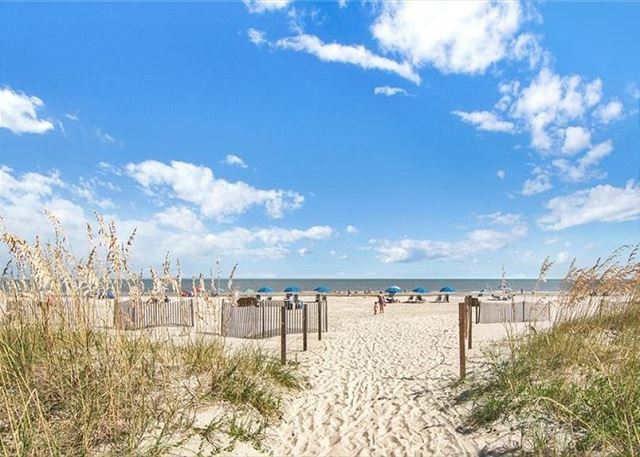 Location is very central and close to the beach, shopping and restaurants. Only minor disappointment was the pool, which is relatively small for seaside villa residents and gets easily crowded. Overall we had a great time with family and recommend this for an enjoyable stay. Very nice condo. Was not happy with plastic mattress cover. Made you sweat in bed. A/C unit was too small to cool adequately. O course it was very hot the week we were there. It was clean and the management company did a good job. 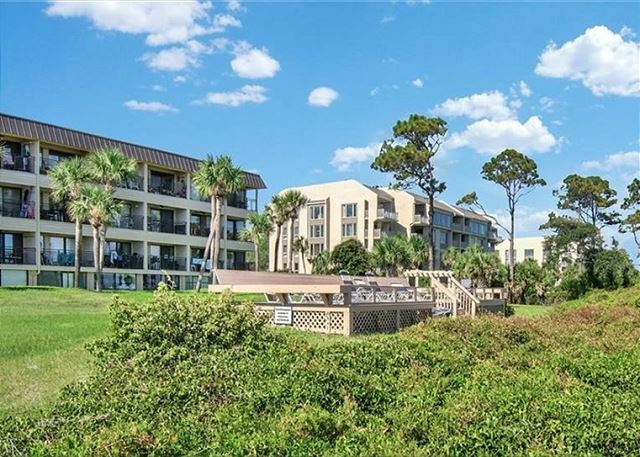 This is a nice condo on the beach. 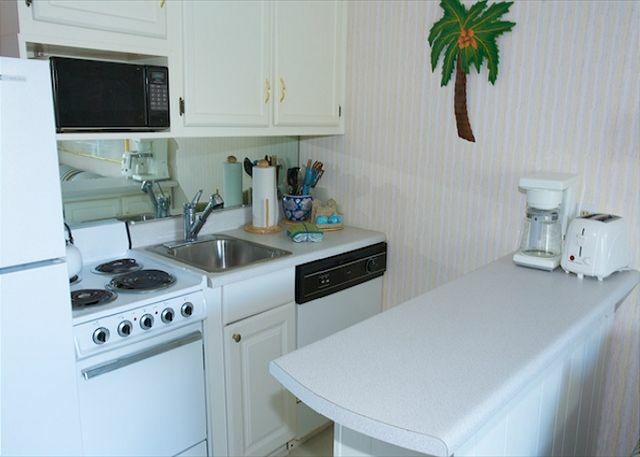 The condo was very clean and a very good deal for the money. It was quite spacious for a 1 bedroom. 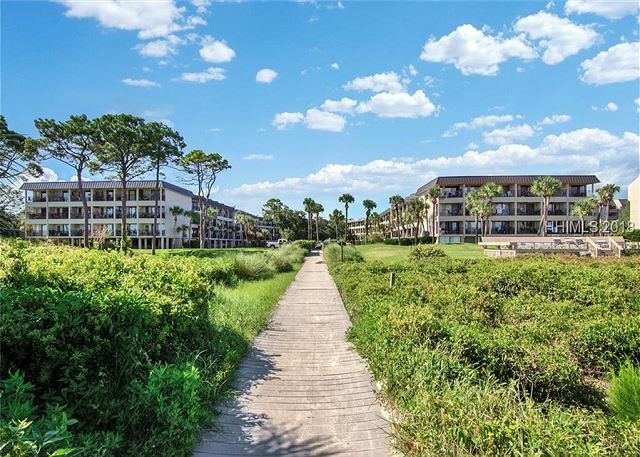 we were in walking distance to Coligny Plaza and a short drive to Sea Pines. I would recommend this condo to others. 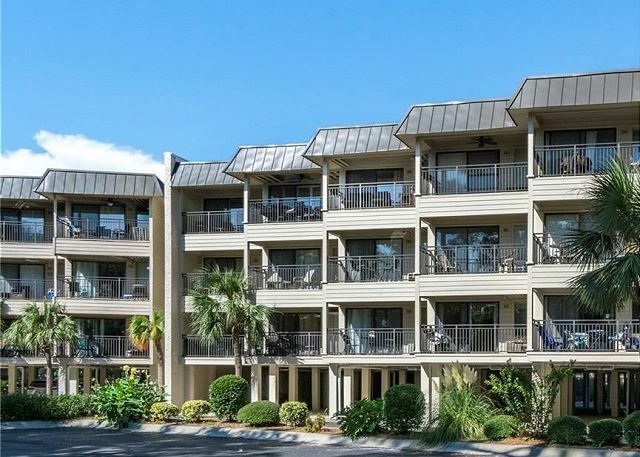 The condo was very clean short walk to the beach and shops this was my familys first vacation to Hilton head and we loved it wished we could of stayed longer.I'm gonna use vacation time of Hilton head for our next trip to the beach. Been staying with y'all for years. Best location on the island. Wonderful!!! 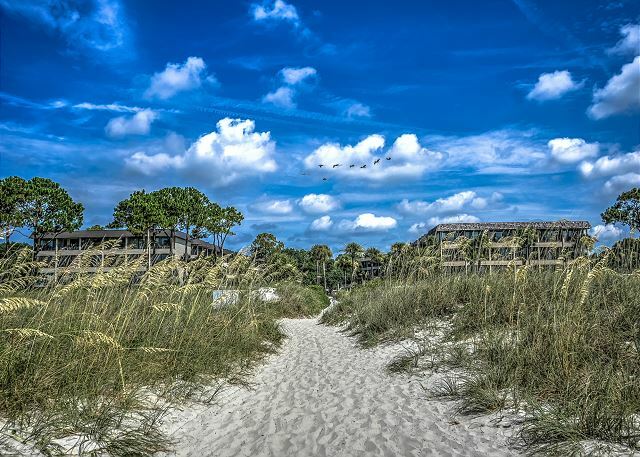 Right on beach. Great Value will rent again. No complaints at all. 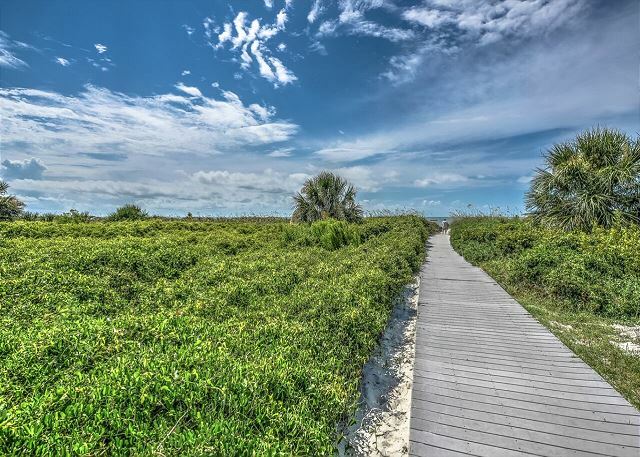 Just few steps to beach, and close to everything else on the island. 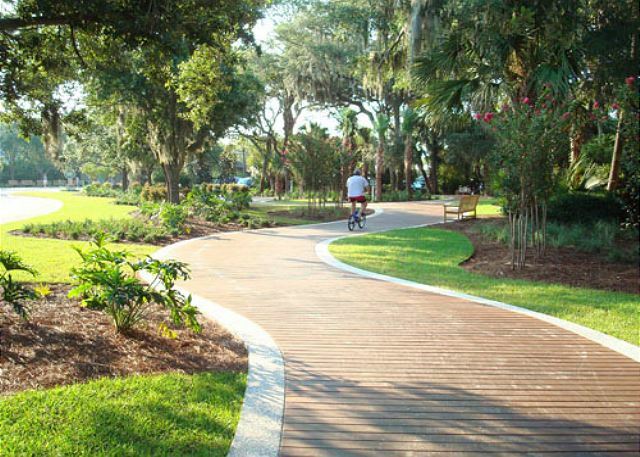 Bike rentals were a block away, covered parking, and gated entry. Beach was beautiful and not crowded, and had rinse off stations. 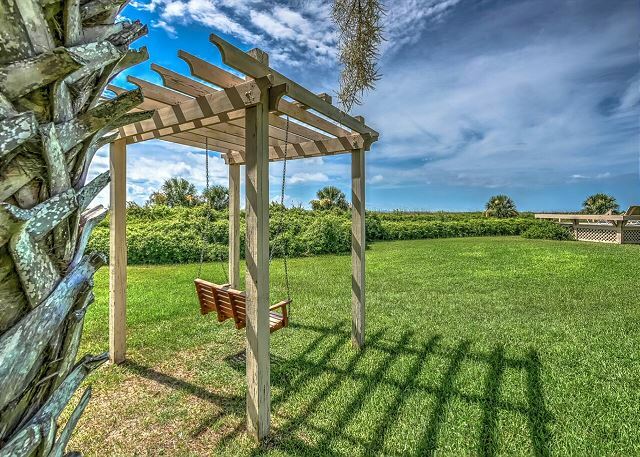 The property is older, but extremely well maintained and updated (e.g. 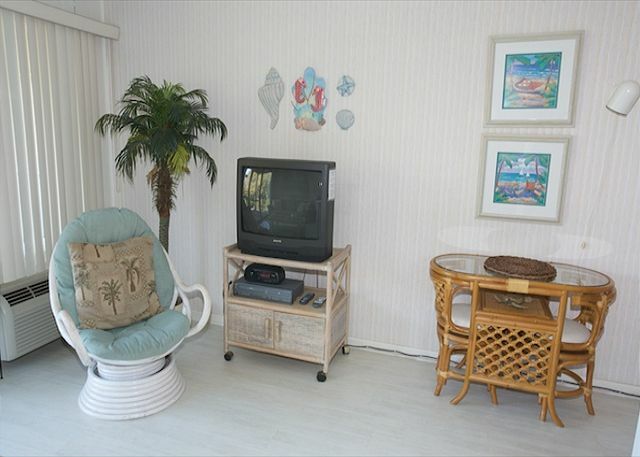 laminate floors, fresh paint, furnishings, etc.) Unit was spotless upon arrival. Plenty of towels etc. Management was incredible: super helpful with our late arrival and even let us do late check out. We plan on renting this unit again. 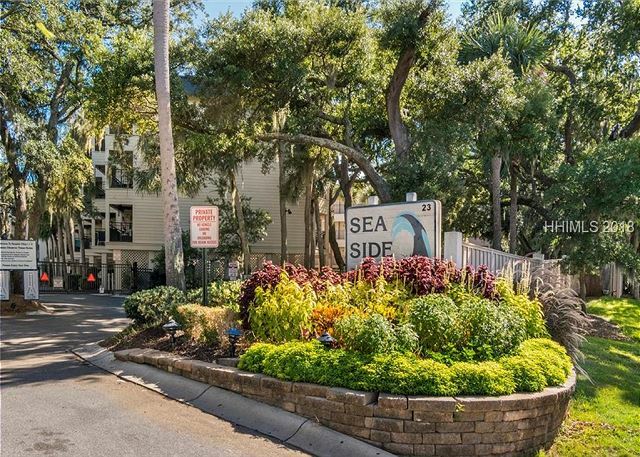 If I really had to find anything negative (and not a reflection on our unit or management..) is that the Seaside Villa one-bedroom units are really best suited for a couple, or a couple with small children, but probably a little cramped for more than 2 adults, or adults with teens. All in all- Made our vacation perfect; with great value, great service! This unit was very enjoyable except for the blind on the sliding door. It had some slats out when we arrived. Otherwise, everything was very nice and done well. Thank you. 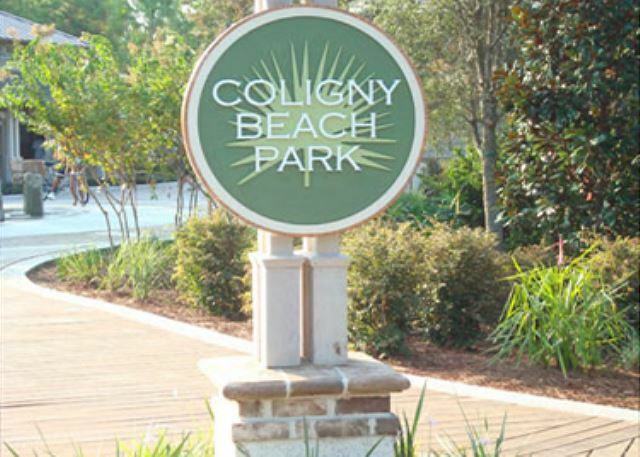 Very comfortable, close to Coligny. Sat by the pool, on the deck and walked the beach. Can't think of a negative thing to say. Would highly recommend and love to come back! 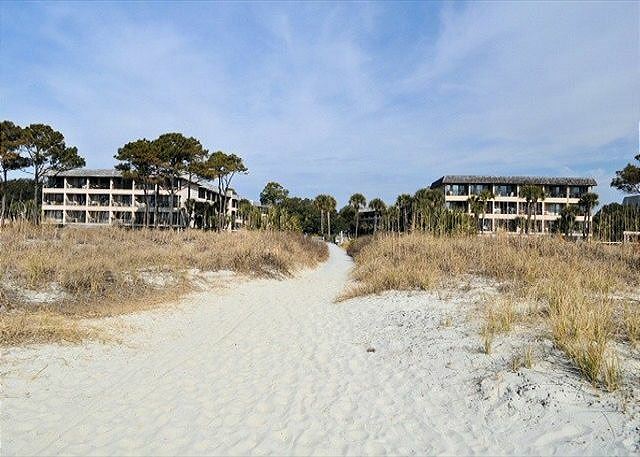 We have been vacationing at Hilton Head Island for many years and enjoy staying at Sea Side Villas. 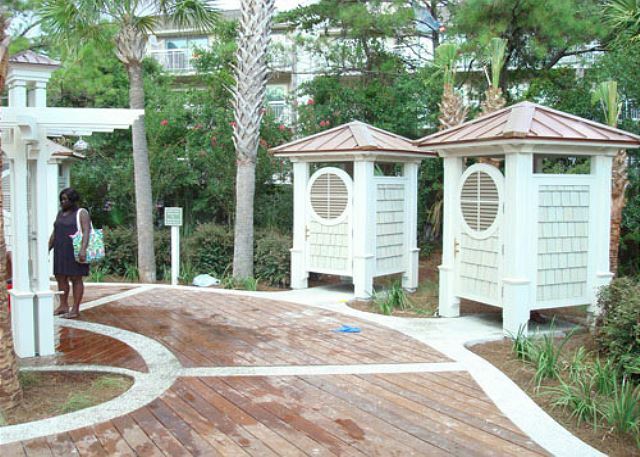 Love the beach and pool area and its very quiet also near grocery stores and our favorite eating places. Very good. I suggest adding a small hook in the kitchen area to hang the dish towel. Room ok for the price, but had issues. Have stayed in SeaSide Villas before in other units. They are good for the money, but obviously not top of the line units, we are ok with that. When we arrived we had to wait for it to be ready, the papers said to check in after 4, yet there were probably 6-7 families in the office waiting to get our rooms. I have never had to wait other times, but also have never rented through this vacation company. The room was acceptable, but had some issues. The sliding glass door did not lock at all. We had to take our umbrella post and place it in the track. The Queen sofa pull out bed did not have any sheets on it and there were none in the room to use. The two bunk beds had twin sheets left rolled up so we used both sets to have sheets for the Queen pull out. Luckily we found a blanket in the closet to use too. The two bunk beds are not big enough to sleep anyone, they have no rails either to keep a child from falling out. If a kid lays on one, they have to lay stiff as a board and cannot turn. Pretty much worthless bunk beds. So skinny no one could use them. They did make handy shelves for our things. There was also only 1 roll of toilet paper in the room, which doesnt last long. We bought our own, but would have been nice to have been given a bigger supply. Otherwise, the room was a decent room for the money. Close to beach, pool, close to town, etc..We still had fun. Great family vacation villa. 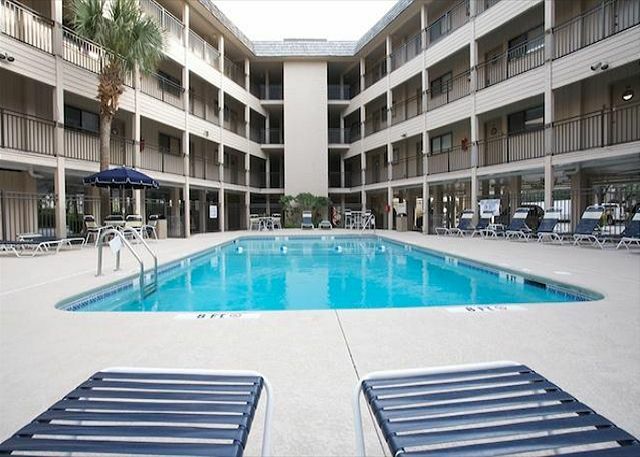 Nearby stores, beach front, clean pools, clean room. Loved it! most modern, but clean, not seedy (more importantly).